When it comes to protecting wood, paint offers an easy, economical solution. However, not all wood surfaces should receive paint treatments. Depending on your use of a timber product, you may fare much better with wood care oil instead. 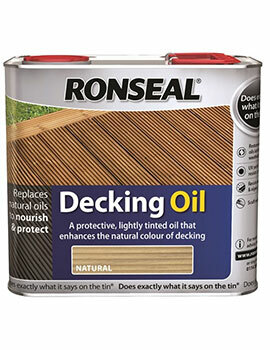 Here, at Buildworld we offer a range of Wood Care Oils. Explore our range and buy the right one. Why Use Special Oils for Wood Care? Replace Natural Oils — While paint coats the lumber to create a barrier against the elements, oils penetrate deep into the grain to replace the wood's own natural oils. Protect Against Damaging UV Rays — On outdoor surfaces, special oils repel the sun's ultraviolet radiation which erodes unprotected wood. Bring out natural beauty — Even common lumber possesses a certain unique attraction in its grain. The more uncommon the timber, the more interesting its inherent aesthetic properties. 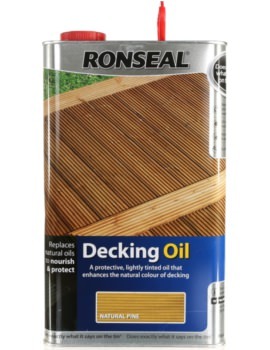 Wood care oil allows the charm of the wood to remain exposed while lending protection against dirt and stains. Safe for Food Preparation Surfaces — To avoid food contamination, chopping blocks and wooden kitchen countertops ought never to be painted. Certain special wood oils contain neither solvents nor chemicals that can also ruin your culinary efforts. 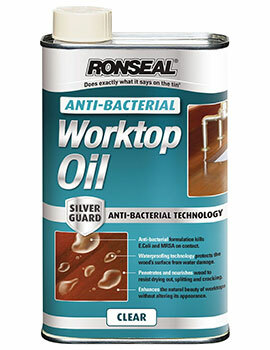 All-natural oils protect against water, juices, food oil and bacterial infiltration into food preparation surfaces. Antibacterial, silver-infused — Bacteria stand no chance of survival when touched by microscopic silver particles. This product affords peace of mind in any kitchen. Door oil satin — Combining oil and wax, door oil satin protects the interior of your door with a beautiful sheen that also permits moisture to evaporate from the wood. 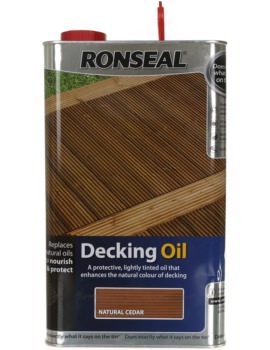 Linseed and teak oils — Protect your outdoor furniture and structures with these special oils. 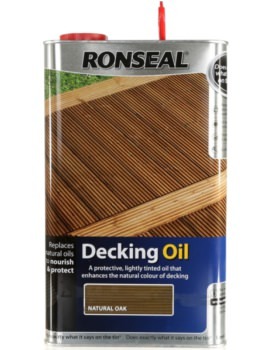 Tinted decking oils — These decking oils add a little colour to enhance the natural appearance of your deck. 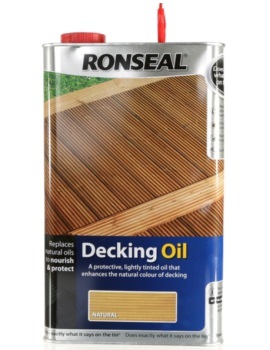 Anti-slip textured oil for decks — This clear decking oil incorporates agents to render the timber slip-resistant when both wet and dry. While unpainted timber pleases the eye, leaving it raw and open to the elements shortens its lifespan. Use a good oil to add years to your exposed wooden investments.